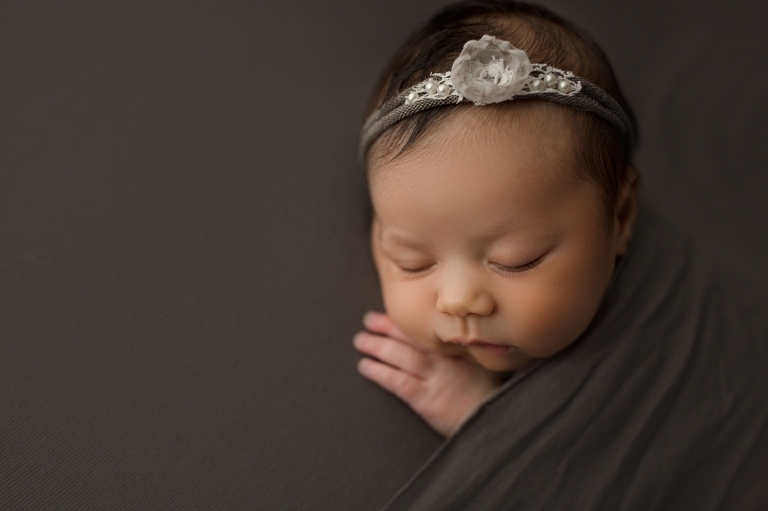 As a Seattle Newborn Photographer, I see a LOT of pretty babies! 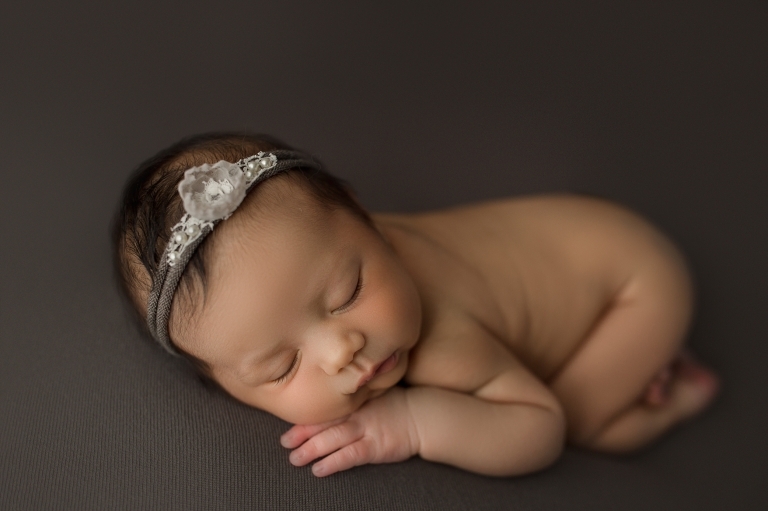 But, this baby girl is one of THE most gorgeous babies I have ever photographed! From her flawless skin to her full head of hair, she was absolute perfection! One of my favorite parts of this newborn session was that mom requested gray as one of the colors. Typically gray is used with boys, but this color was perfect for her! Her golden skin tone shines on the backdrop and she looks so beautiful on it! 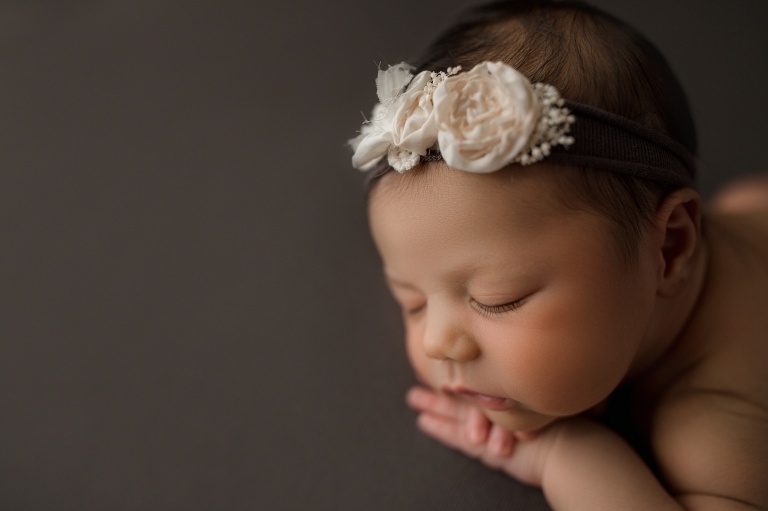 Some of my favorite images in this baby studio session are the parent poses. The parents are absolutely stunning and its no wonder their baby girl is so beautiful! She definitely gets her beauty from her mother and father! And I have to admit, tattoos are my favorite accessory and this father did not disappoint!